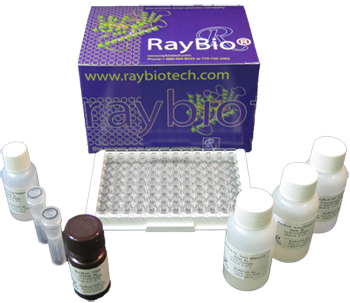 The RayBio® SpeedELISA kit is an in vitro enzyme-linked immunosorbent assay for the quantitative measurement of target protein in biological sample such as serum, plasma, and cell culture supernatants. For a comparison & overview of all our ELISA systems, click here. 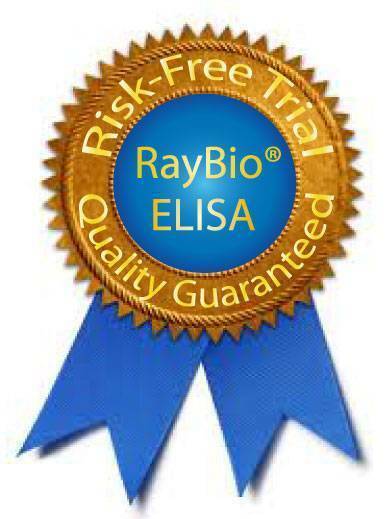 RayBio® SpeedELISAs employ a biotinylated capture and a HRP-conjugated detection antibody which immunocaptures the sample analyte in solution. The microplate in the kit is precoated with streptavidin. 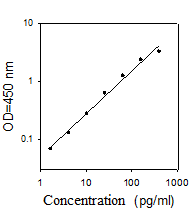 The biotinylated capture antibody/protein/HRP-conjugated detection antibody mixture is pipetted into the wells and the biotinylated target protein present in a sample is bound to the wells by the immobilized streptavidin. After incubation, the wells are washed to remove unbound material. A TMB substrate solution is added to the wells and color develops in proportion to the amount of target protein bound. The Stop Solution changes the color from blue to yellow, and the intensity of the color is measured at 450 nm.